Before MAVEN can study the atmosphere of Mars, it had to not only overcome Earth’s gravity but also make it through Earth’s atmosphere. Central Florida’s sometimes volatile weather can make launching rockets difficult. Weather is responsible for more than a third of launch delays and nearly half of the scrubs. 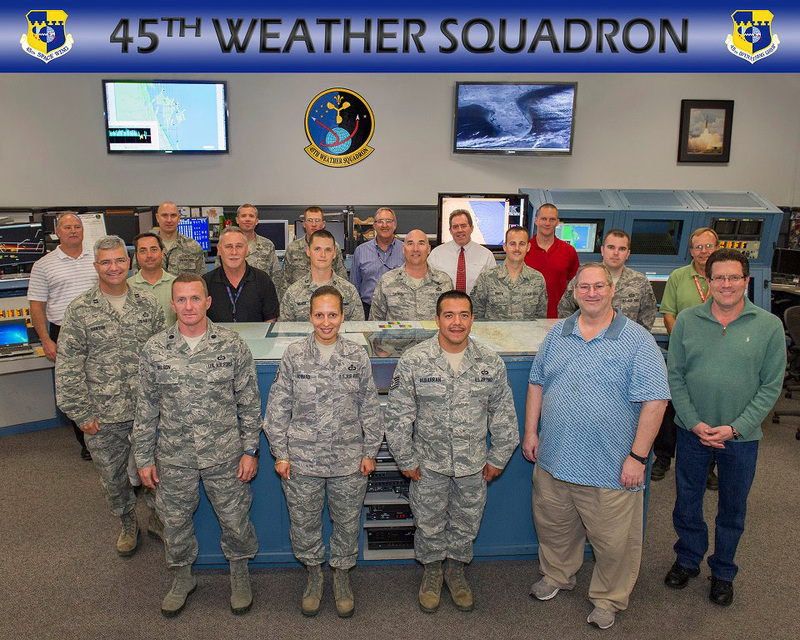 The meteorologists of the 45th Weather Squadron (45WS) at the Cape Canaveral Air Force Station (CCAFS) keep a close eye on that weather. In addition to the satellite images and radar your local weather forecasters use, 45WS scientists have one of the most unique sets of sensors in the world. The 45WS provides weather information for launches of rockets like MAVEN’s Atlas V, but also for the SpaceX Falcon, Delta rockets carrying missions like GRAIL, and the Space Shuttle launches and landings at the Kennedy Space Center. They also forecast wind and lightning threats for activities like moving sensitive spacecraft and rockets to the launch pad. 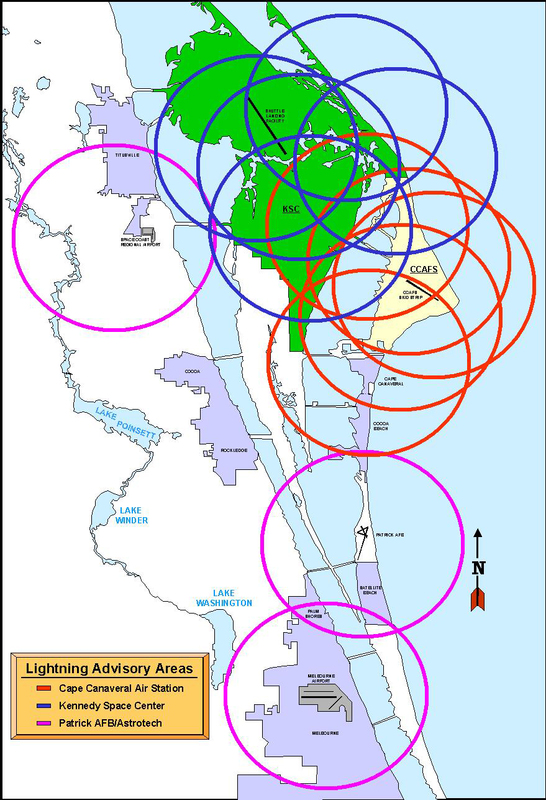 Nearly four dozen weather towers start 27 miles (43 km) west of the launch pad and are scattered throughout CCAFS, and ocean buoys extend 30 miles (48 km) to the east. 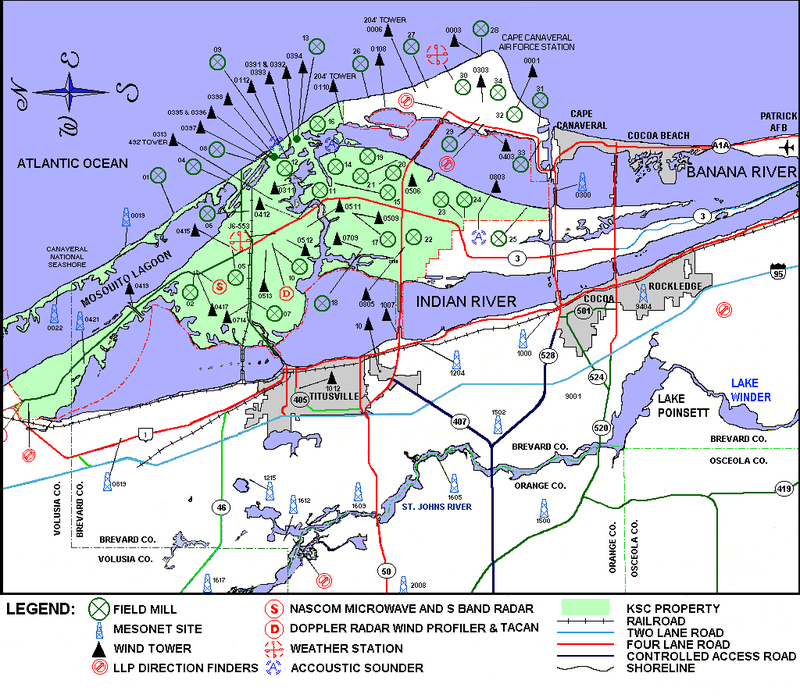 Towers and buoys are topped with instruments measuring wind direction, wind speed, and temperature. Nearly three dozen field mills measure the strength of the electrical fields in the atmosphere, helping forecasters judge the potential for lightning. Weather balloons are also released about 5 hours and 2 hours before launch (and as needed) to measure upper level winds. 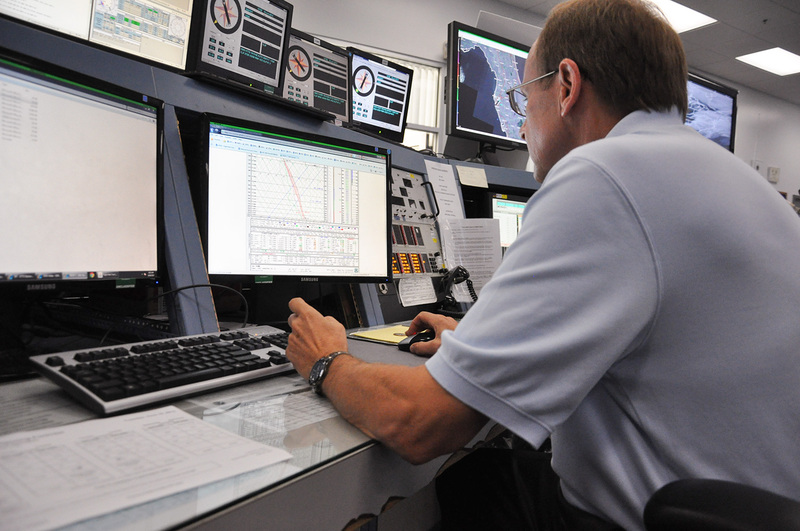 Readings from those instruments are fed into the rocket’s computers up until the final moments of the countdown, to allow for accurate steering as it rises through layers of the atmosphere. Weather isn’t just measured remotely. Meteorologists and trained Air Force pilots watch approaching thunderstorms, and observe clouds from the ground and skies. Anvil shaped clouds are watched very carefully, as they indicate thunderstorms which may produce lightning. Lightning is a big concern for launching rockets, and the 45WS is especially well prepared for it. Only the African country of Rwanda has more lightning strikes than central Florida. In addition to the detection of cloud-to-ground lightning that your local meteorologist probably has access to, the 45WS can detect cloud-to-cloud lightning. This gives them a unique 3-dimensional view of a thunderstorm. All this information is put to use to keep rockets, as well as the people launching them, safe.